My esteemed manager of the time (Richard O’Dell esq) was also managing, or trying to manage, this wacky but hard-rocking bunch of Bristolians led by Gareth Sager, formerly of The Pop Group and Rip Rig and Panic. Gareth Sager is a genius, but the evidence over the decades would seem to indicate that he’s hard to capture on tape. If anybody reading this witnessed the Pop Group performing live circa 1979, they will surely agree with me that none of their records came close to that intensity. Rip Rig and Panic was his band with Sean Oliver and Neneh Cherry; they were groundbreaking but never seemed to live up to their initial promise. For this project Gareth, who could have been a jazz virtuoso if he wanted, decided it was time to rock out. 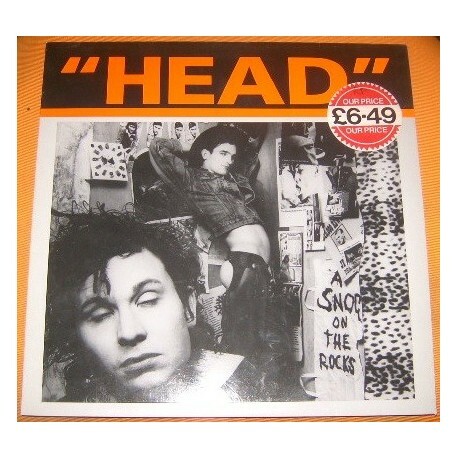 So he recruited ex-Clash (post Mick Jones) guitarist Nick Shepherd and superb singer Rich Beale. The album was recorded by engineering legend Marvin Black, and my long-suffering liver thanks him for taking on the task, as it was evidently quite a party. I’m really fond of this album and it’s a shame that it has virtually disappeared. The only video I can find on youtube is of some dude shaking the cover around and playing the daftest track. That’s somehow apt though, and I here present it in the hope that adventurous listeners will seek further.